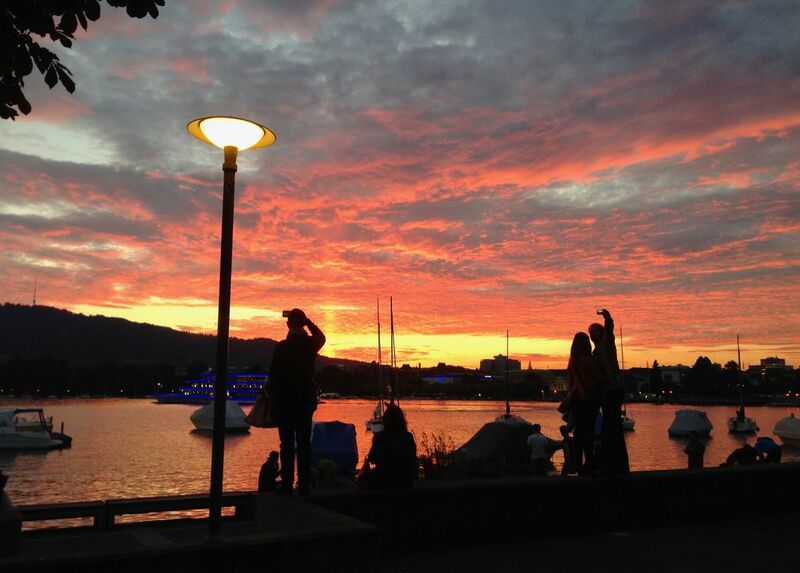 The image shows people taking photos and selfies of the sunset at Lake Zurich near Sechseläutenplatz. The sky seemed ablaze as the sun sets in this autumn day. Date Uploaded: Nov. 29, 2017, 8:46 p.m.